This advice for young creatives (of any age) was given by Ira Glass in a 2009 interview. It resonated with me when I started writing and it’s still inspirational today. 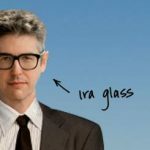 Ira Glass, for those who don’t know, is an American radio personality, and the host and producer of This American Life.